As you may be aware our NatureWatch NZ website unexpectedly shut down on the afternoon of Monday, 21 May 2018. Please note that all of your observations are safe as all data are stored with our international partner, iNaturalist. Trustees of the New Zealand Bio-Recording Network Trust, which operates NatureWatch NZ, have been unable to resolve a long-standing domain name issue. NatureWatch.org.nz was owned and managed on the Trust’s behalf by a third party. When NatureWatch NZ was launched, it was done so on the basis that the domain would be transferred to the Trust. That did not occur and, despite numerous requests, the domain has remained with the third party. The recent shutdown by the third party demonstrates the reasons why it is essential that the Trust has full access and control over its domain. We have endeavoured to determine why the domain registration was cancelled on Monday. The third party is overseas and has not yet responded to our enquiries. The Trustees wish to engage all the NatureWatch NZ community in a discussion about future decisions. After carefully weighing up all options (including seeking to have the naturewatch.org.nz domain transferred through the Courts) the majority of Trustees have resolved that the least disruptive option is to relocate NatureWatch NZ to a new domain. As part of our efforts over the last few days to restore NatureWatch NZ we have been in close contact with our iNaturalist partners in the USA. They have indicated that they were about to initiate a process of consultation with partners about closer alignment with the global iNaturalist brand across the growing global iNaturalist Network, of which NatureWatch NZ is the New Zealand member. Although this global decision has not yet been made the Trustees propose that we look forward and switch our domain and the NatureWatch NZ community to iNaturalist.NZ. This aligns the Trust with the proposed future direction of our international partners, ensures brand consistency with the mobile iNaturalist apps, and will minimise any potential future disruptions. The Trustees will be meeting on 20 June to vote on the brand/domain issue. We seek your feedback on the Trustees’ proposal to align with the international iNaturalist brand. Whilst our name will change, we will retain all our existing NZ specific functionality, e.g., community of users, places, maps, projects, etc. Feedback can be made in a comment below, or on the Trust Facebook page, or sent to naturewatchnz@gmail.com. Please ensure that any responses are sent by 5 pm on Friday 15 June. While the Trustees are making every effort to minimise disruption, our move will affect existing external links, apps and other services that are operating from the current NatureWatch NZ platform (see FAQs below for solutions). From today (24 May) we are operational as iNaturalist.NZ and that will be the case at least until the future brand is confirmed at the next Trust meeting. We aim to quickly resolve any technical issues with this changeover. If you have any technical inquiries please email naturewatchnz@gmail.com for assistance. We will keep users regularly updated here at iNaturalist.NZ and on our Facebook page. The Trustees would like to take this opportunity to thank you all for your support and enthusiasm over our first 5 and a half years as NatureWatch NZ. Together we have built an extraordinary resource of over half a million records made by more than 9,000 observers. You can all be proud that together we have made NZ a world leader in citizen bio-recording. We appreciate your patience while we get through this difficult period and resume ‘normal transmission’ and an upward trajectory. NatureWatch NZ is managed by the New Zealand Bio-Recording Network Trust (NZBRN Trust). The NZBRN Trust is a registered Charitable Trust in NZ. What is iNaturalist and the iNaturalist Network? iNaturalist is based at the California Academy of Sciences and maintain the code base that operates NatureWatch NZ and our dedicated server that securely stores your data. NatureWatch NZ is one of several international partners in what is referred to as the iNaturalist Network. iNaturalist also operate the phone app service used by many NatureWatch NZ users. 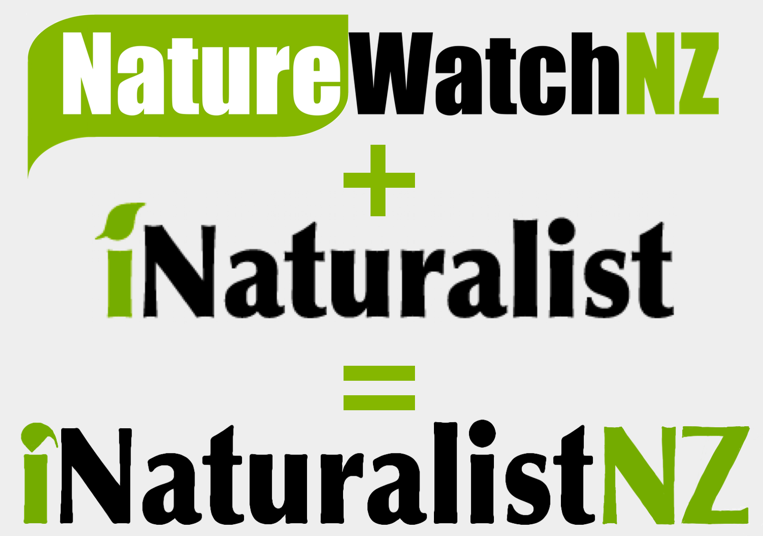 Do you currently subscribe to NatureWatch NZ or are you contributing via iNaturalist? Some users in New Zealand are not yet aligned with the NatureWatch NZ community but operate via iNaturalist when using their phone app. We do not have access to their email addresses and so have not been able to contact them directly about these changes. If you have friends that use NatureWatch NZ or the iNaturalist app in NZ please make sure they are aware of this change. What is the NatureWatch NZ Facebook page? A domain is a text address that points your web browser to the appropriate IP (Internet Protocol) Address which is a series of numbers that tells your browser where to obtain the relevant content for that site. What will happen to existing NatureWatch NZ links?